Authentic replica of the legendary Lynch guitar. Each 1:4 scale ornamental replica guitar is individually handcrafted with solid wood and metal tuning keys. Each guitar model is approximately 10 in. 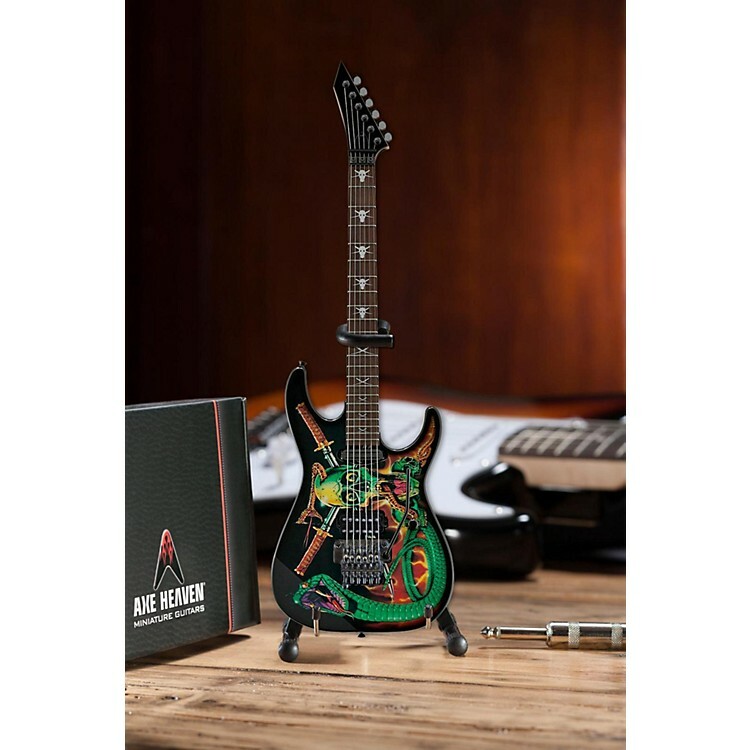 in length and comes complete with a high-quality miniature adjustable A-frame stand and guitar case gift box. Axe Heaven Miniature Replicas look great but are not playable.